Request more information from this manufacturer. In its more than 135 year history, the family owned company Motorenfabrik Hatz GmbH & Co. KG has developed from an engine manufacturer to a technical service provider for industrial diesel engines. In addition to the original business, the manufacturing of diesel engines, Hatz develops and sells complete system solutions and produces prototype and production components for the automotive industry. 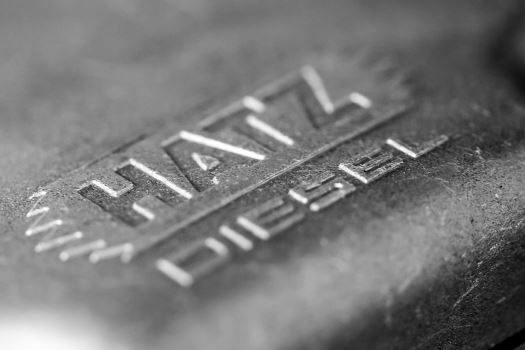 Hatz is a global acting and independent specialist for single- to four-cylinder diesel engines. The diesel engines are used in all areas of application, such as construction equipment, compressors, commercial vehicles, agricultural machinery, generator sets, and trucks as well as ships. Hatz develops and manufactures diesel engines in the power range from 1.5 to 56 kilowatts. At three locations more than 900 staff are employed – about five percent of them in research and development. The global service network includes more than 500 service centres, 13 sales branches and 114 Hatz distributors in over 120 countries. Being so close, a rapid supply of products and spare parts and a quick response to customer needs can be ensured. Motorenfabrik Hatz is divided into three divisions: Hatz Diesel for engines, Hatz Systems for complete engine powered systems and Hatz Components for automotive components. The product portfolio of the business field Hatz Diesel ranges from small and compact single-cylinder diesel engines with 1.5 kilowatts up to four-cylinder engines with 56 kilowatts of power. In addition to a compact design of the single-cylinder engines Hatz is known across the full engine range for the reliability and durability of its products. All engines are manufactured according to customer specification. Furthermore they are the only air-cooled diesel engines in this market segment, which comply with the strict exhaust emission standards in the EU (Stage IIIB) and the US (EPA Tier 4 final). The business field Hatz Systems has developed and produced special systems based on industrial diesel engines for over 30 years. The focus is on solutions for the power and energy supply, scalable power plants, pumps, hydraulic power packs and special applications in the maritime, railway and military field. Hatz Systems offers a range of products from two kilowatts to several hundred kilowatts. The standard program covers common output sizes of generators, pumps, hydraulic equipment and marine engines, which are available on short lead-time. In addition, all units are also available based on customer requirement. The business field Hatz Systems deals specifically with individual concepts and customer requirements for systems with industrial diesel engines as a power source. The business unit Hatz Components manufactures high-precision engine- and drive components such as connecting rods, crankshafts, housings and control parts for engine manufacturers worldwide. The focus is on the commercial vehicle, automotive, motorcycle, agricultural and industrial printing machines as well as the racing industry and power generation. Hatz is benefiting from the expertise of its own engine production and the long-term experience with sophisticated clients and has established itself as a modern service provider and consultant for customized manufacturing solutions over the years. As a specialist in the manufacturing of connecting rods, ranging from single-cylinder engines up to heavy-duty applications, all specific manufacturing technologies are mastered. This includes, shape, oval and deep-hole drilling as well as cracking technology, and also several types of joint surfaces like conventional cut surface and profile toothing. The handling of high-strength micro-alloyed steels, aluminum, cast iron, sintered materials goes without saying and is complemented by the machining of titanium. In all Hatz business fields special attention is paid to quality and delivery performance; Hatz supports its customers in their zero-error strategy and supports its products through the entire life cycle.